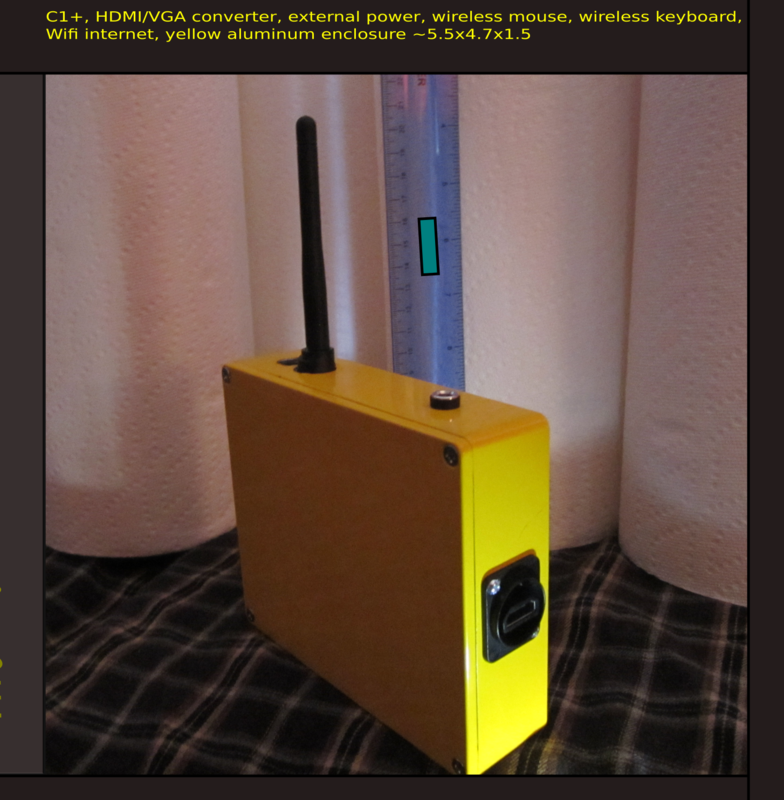 Originally, the idea was to mount a very small display onto the cover of the bright yellow aluminum Hammond enclosure. I’ve changed plans, and it will just be a server droid – albeit a small, portable and very tough one. Dropping this unit should not effect anything other than my toes! Note: Never use an aluminum enclosure to contain batteries (especially lithium batteries). Aluminum makes nasty shrapnel. Figure 2: The new droid is shown, this time perched on top of the 8 cell NiMH battery pack, good to power it for fifteen hours continuously. The cast aluminum enclosure is tough and thick, so the hole drilled for the HDMI connector (shown in foreground (above)) was a bear to punch with a series of small bore holes. It required an hour’s time all by itself. I guess I haven’t yet worked myself hard enough to justify that $200 Greenlee punch! Below is an inside view of the (not yet completed) server droid enclosure. The C1 shown in the inside view of the aluminum enclosure is the new C1+ that I referenced in another post on this site. The original homemade tablet used the original C1 board. The board is mounted on sturdy nylon standoff tubes, and 440 hardware. Note the extension from the USB connector on the droid to the side of the box, where a small diameter hole exposes the end of the little microUSB adapter, which feeds the keyboard (or is that vice/versa?). Anyway, that arrangement allows me to use the inside USB connectors if I desire, and was a cheap-out way to do the outside connector! 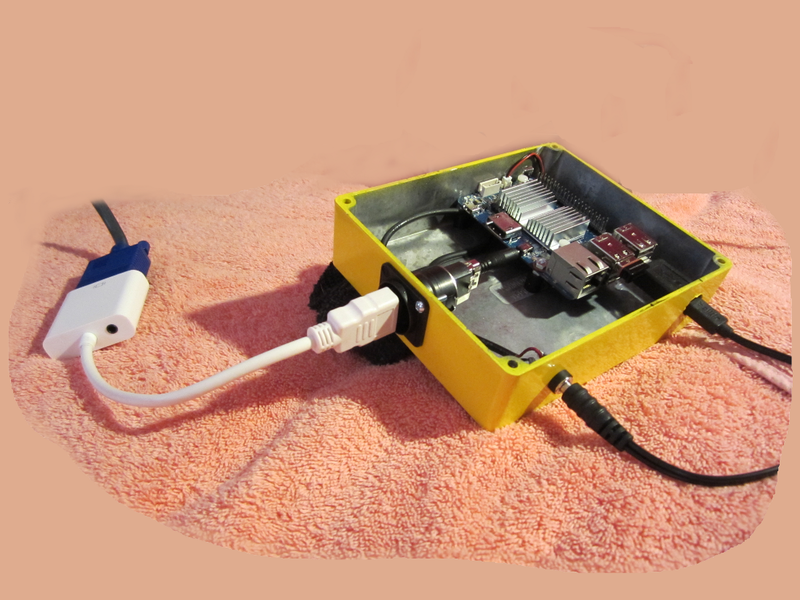 I can use the same “extension” technique to put a WIFI dongle and antenna on the outside of the box (the WIFI signal would not be able to escape the enclosure, if the dongle antenna were mounted inside of the metal enclosure). One note of caution: the 440 hardware (which many people use because it’s often the smallest available diameter hardware found at home improvement stores (smaller hardware can be found at dedicated hardware stores) – will short out capacitors C1 and resistor R4 if precautions are not taken, especially when using a 440 nut on the standoff hole located closest to the ethernet connector. I used two thick composite washers and a thinner mica washer to insulate it. Bet you can’t find a mica washer! I don’t know if a plastic washer might do the trick here as well, but something heat-resistant would be preferable. Mica is heat resistant, albeit it is an old material (I have an old junk box). The smart thing to do would be to drive down to the local hardware, and buy smaller hardware :-). There are probably some reader questions about the issue of heat in a cast aluminum enclosure. I hate to vent it, but will if necessary. Meantime, I will be experimenting with various ways to sink the heat to the enclosure roof, using hi tech thermal transfer materials. Stay tuned. Figure 4: With Wifi, wireless mouse, and wireless keyboard, the server is ready for action. 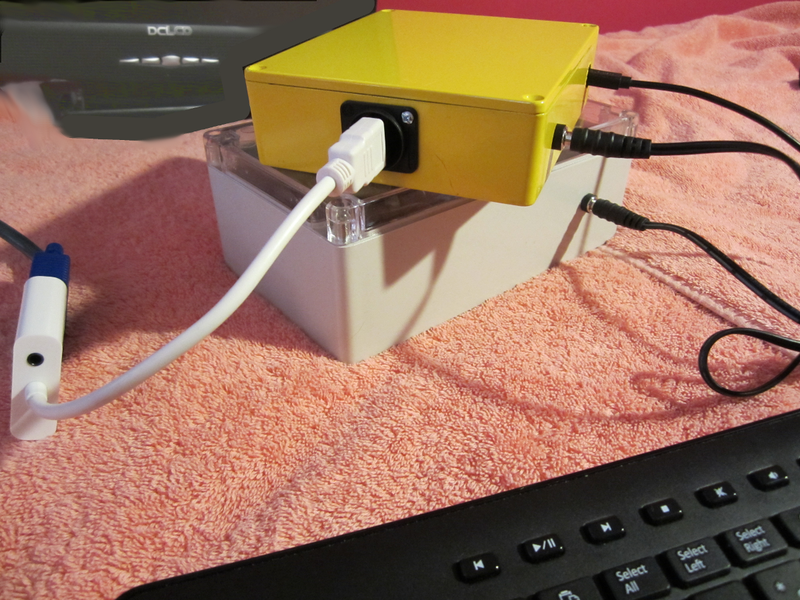 With small vents added in addition to the nice swiveling Wifi stick, wireless mouse and wireless keyboard, the little yellow box is one of my favorites. I wondered if the signal from the wireless dongles (mouse, etc) would be able to escape the small holes in the enclosure (made by the vents and various connectors (e.g. HDMI, power). 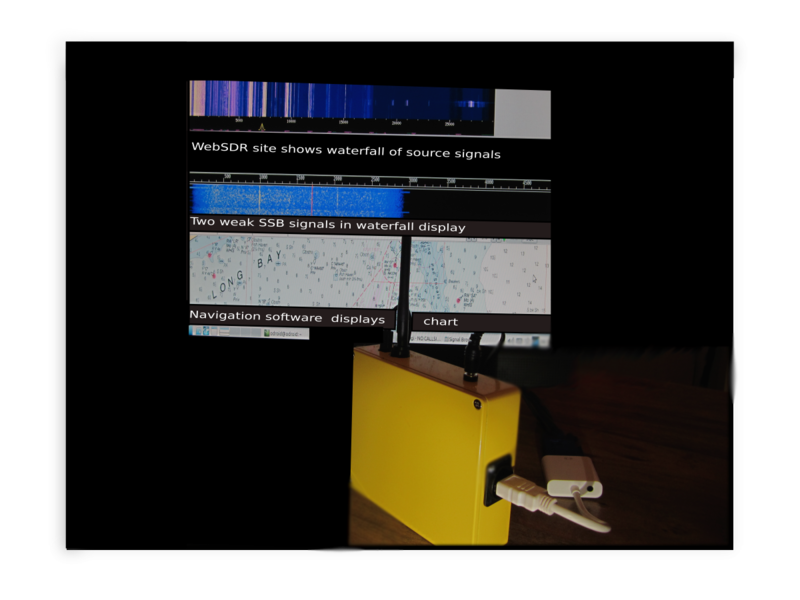 It turns out that the aluminum box presented no problem for the wireless signals. All the wireless stuff seems to work just fine. Needs more testing though. While I had outfitted the box with an extended, swivel type antenna, it probably wasn’t necessary. Thus far I have not noticed any interference troubles with the processor, using wireless mice and keyboards inside the box, but I suppose that’d be something to check for. The WiFI dongle does output more power (100 milliwatts), so that device should stay on the outside of the enclosure. The mice and keyboard dongles probably are lesser issues in that way (with so much less power involved). The use of those items inside the box is something that should be tested thoroughly though – something I haven’t done myself. 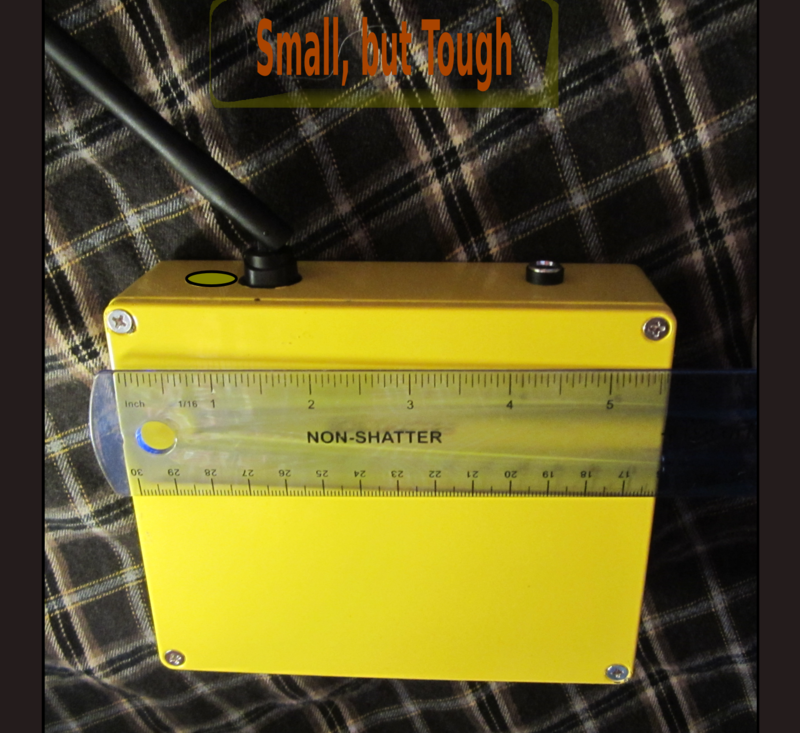 Figure 5: Small dimensions and tough metal enclosure make this yellow box easy to move from place to place, while not worrying too much about durability. The Hammond thick walled cast aluminum enclosure that I used is not cheap for its size ($16-18 IIRC). But those Hammond guys have been making cast aluminum boxes forever, and they build them very well. Even the paint job is marvelous. It has a solid feel that I don’t thnk I’d get from the plastic enclosures that many SoC/SBC computer enthusiasts use. 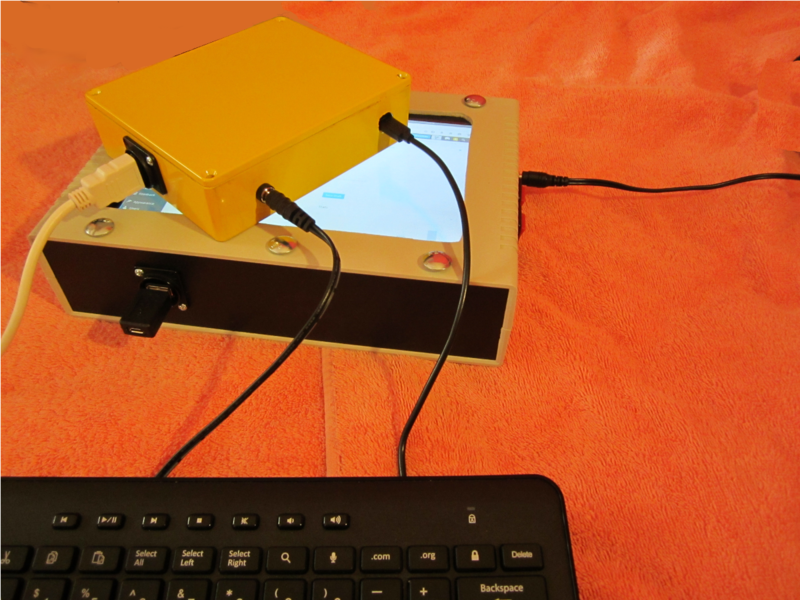 Figure 6: The little yellow computer in action, doing navigation and weather apps. 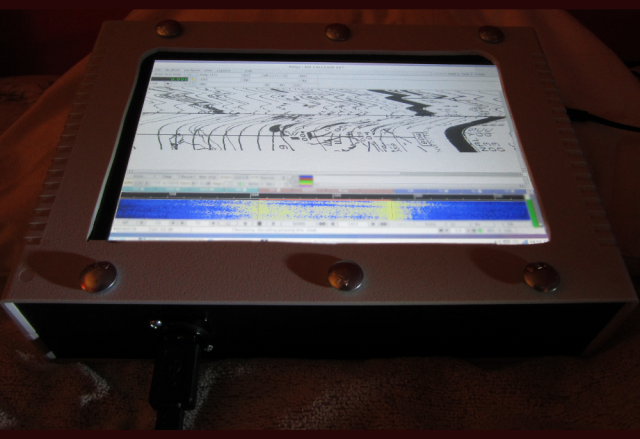 Figure 7: C1 powered homemade tablet (albeit a very thick one) – processing a weather fax (many good faxes have been received, but this particular one is quite noisy). Note: The C1+ SoC/SBC board used in the server box was purchased from Ameridroid – the american distributor for HardKernel (http:// http://www.hardkernel.com). The Hammond enclosure is made by Hammond Manufacturing Company, Limited. Their products can be found at http://www.hammondmfg.com. OpenCPN is available from http://www.opencpn.com, and FLDigi software is available from http://www.w1hjk.com This website has no affiliation with any of those companies and/or websites, and they do not endorse this page in any way.